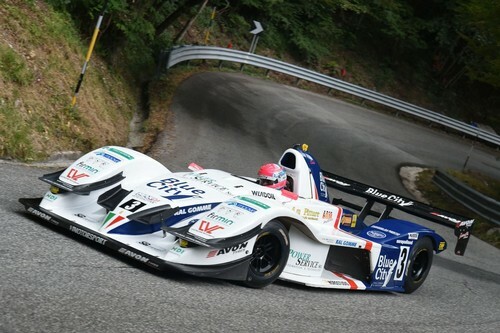 Osella works driver Christian Merli at the wheel of his FA 30 Zytek LRM clinches victory at the 28th Trofeo Lodovico Scarfiotti – Sarnano-Sassotetto in central Italy. 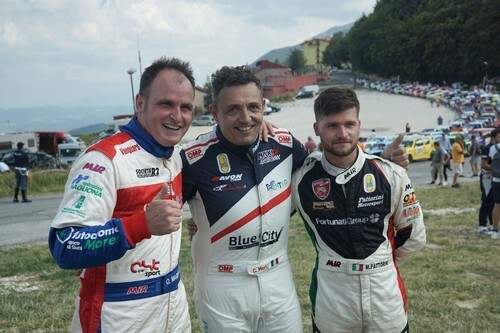 The 7th round of the Italian hill climb championship CIVM, a key race of the Italian season, was contested in a single run on the 8.877 km track from Sant’Eusebio to Fonte Lardina at an altitude of 1277 metres. 3”85 behind the Team Blue City Motorsport leader there is Michele Fattorini with another Osella FA 30. 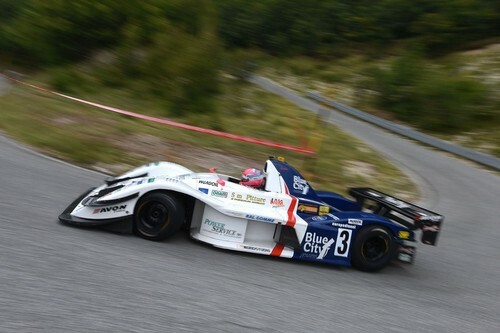 Omar Magliona from Sardinia comes in third with the Norma M20 FC and loses the CIVM leadership, falling only half a point short, while Merli, bagging 20 points, vaults himself to the summit of the championship standings for the time being. 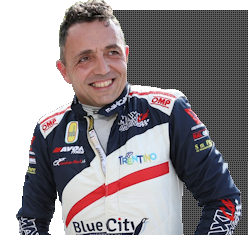 So far the Scuderia Vimotorsport driver at the wheel of the Osella FA 30 Zytek LRM has won Verzegnis and Ascoli, breaking the track record in each. He also took the victory at the Trento – Bondone and yesterday in Sarnano. In Nevegal, he won Race 1 setting a new track record, while in Race 2 he was stopped by the rain. In the first official practice session, under the sun, Christian Merli finishes first in 3’50”56. Omar Magliona is 4”99 behind, and Domenico Cubeda, with another Osella FA 30, 9”47. Halfway through the afternoon session, a downpour sets in and many drivers prefer not to take any risks ahead of the race. On Sunday, the single race heat starts at 12pm. Merli finishes first, improving his practice time by 6”, followed by Fattorini, Magliona and Cubeda. 1st Merli (Osella FA 30 Zytek LRM) 3’44”97, 2nd Fattorini (Osella FA 30) 3”85 behind, 3rd Magliona (Norma M20 FC) 3”96 behind. 1st Merli (90 points), 2nd Magliona (89.5), 3rd Cubeda (80). 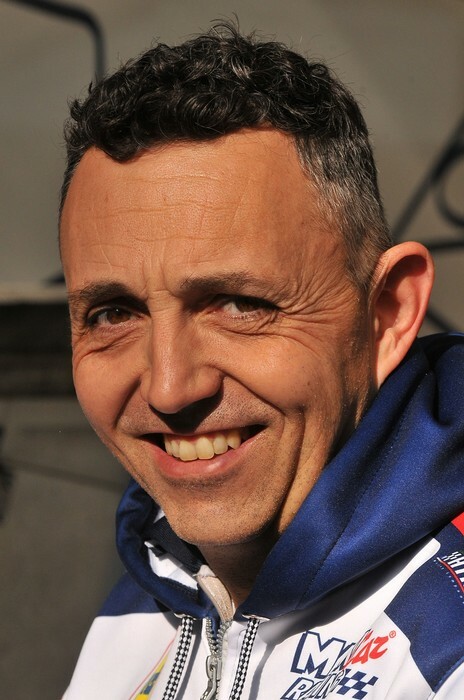 6 May: Alpe del Nevegal (Belluno province) – winner Omar Magliona (Norma M20 FC), 27 May: Verzegnis – Sella Chianzutan (Friuli Venezia Giulia region) – winner Christian Merli, 10 June: Coppa Selva di Fasano (Apulia) – Magliona, 24 June: Coppa Paolino Teodori (Marche) – Merli, 1 July: Trento – Bondone (Trentino) – Merli, 22 July: Salita Morano Campotenese (Calabria) – Domenico Cubeda (Osella FA 30), 5 Aug: Trofeo Scarfiotti (Marche) – Merli, 19 Aug: Trofeo Luigi Fagioli (Umbria), 2 Sept: Pedavena – Croce d’Aune (Veneto), 16 Sept: Monte Erice (Sicily), 23 Sept: Coppa Nissena (Sicily), 7 Oct: Luzzi Sambucina (Calabria).